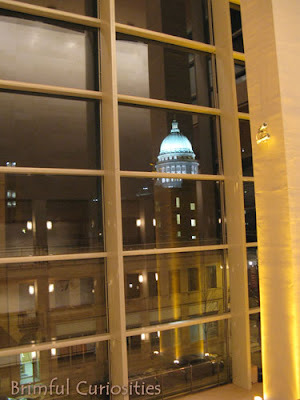 Wisconsin State Capitol as viewed from the inside of the Overture Center in Madison, WI. Talk about a room with a view! Awesome picture. Happy WW. Great! Glad you caught that. I'm your newest follower. Hope you find the time to follow me too.